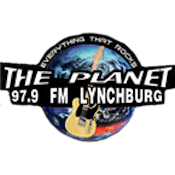 Centennial Broadcasting has sold Classic Rock “97.9 The Planet” WZZU Lynchburg and “Fox Sports 106.9” WZZI Bedford VA to Todd Robinson’s WVJT LLC. The $523,000 purchase adds the pair to holdings that include Southern Gospel 1230 WXCF Clifton Forge, “Big Country 103.5” 1340 WKEY/103.5 W278BF Covington, 100.9 WIQO Forest, and 103.9 WXCF-FM Big Island. The latter pair currently simulcast Hot AC 93.7 WKHF Lynchburg. Centennial retains News/Talk 105.9 WLNI Lynchburg following the sale.